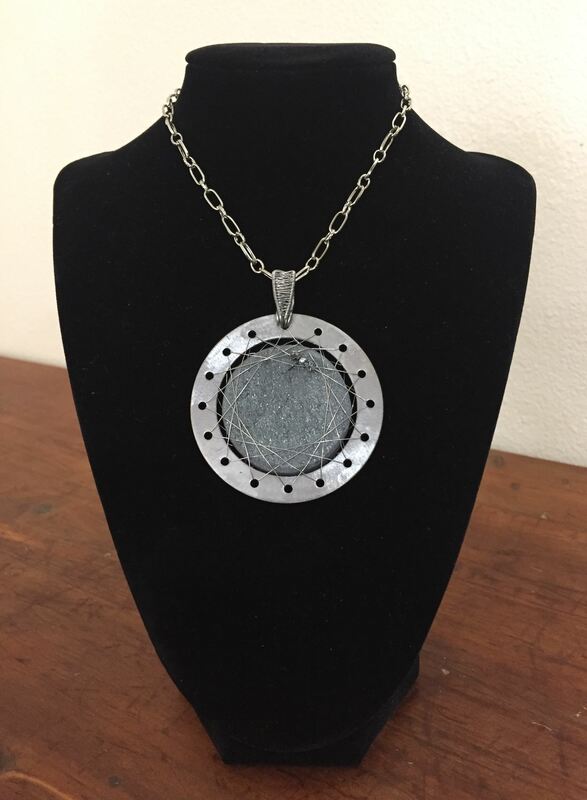 About the work: This pendant is made from a glittering, rough-cut piece of specular hematite that is suspended by an orbit of fine stainless steel wire. A miniature version of the Psyche probe is strung on the orbit wire. I used a hardened steel washer for the orbit frame. I chose these materials because they contain high levels of iron, reflecting our predictions for (16) Psyche’s composition. 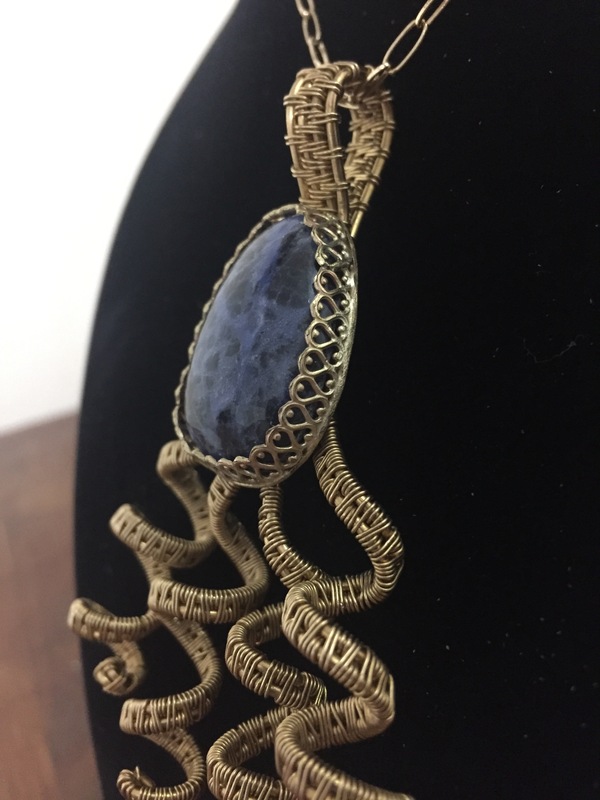 About the work: This piece combines brass wire-wrapped embellishments with a more traditional bezel-set sodalite stone. It is inspired by the spacecraft’s journey from Earth to Psyche. 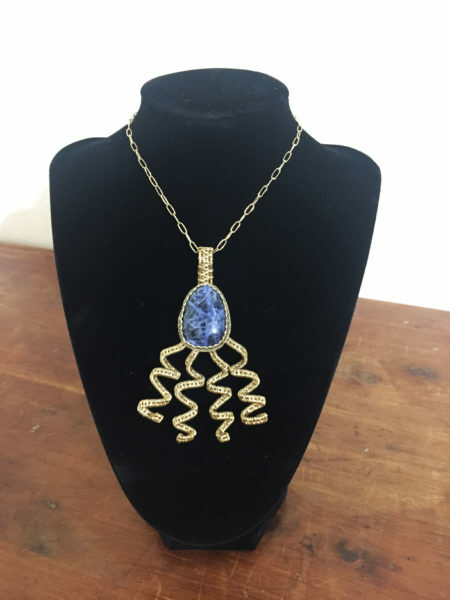 The shape and trailing tendrils show the motion of the journey, and the pattern in the sodalite is reminiscent of deep-space images. 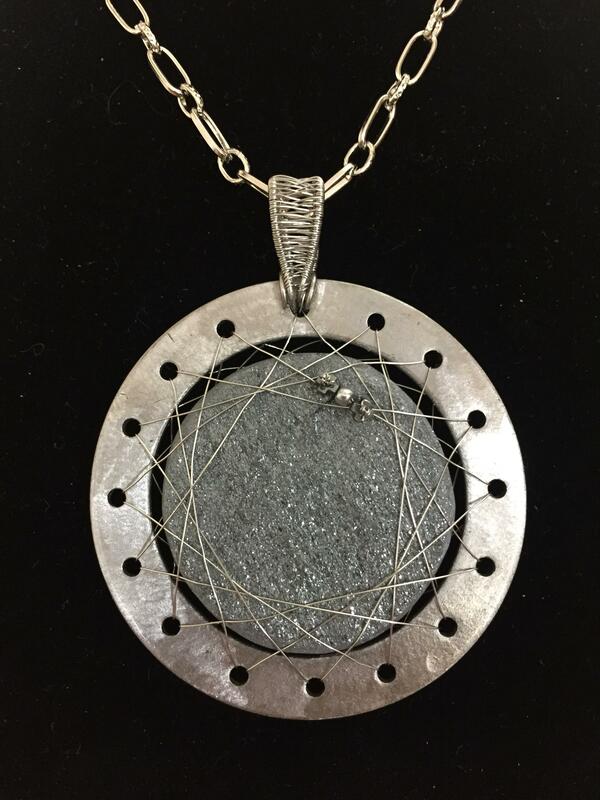 About the work: In this piece, the central stone represents Earth, and the wire wrapping is similar to the Psyche spacecraft’s flight path. 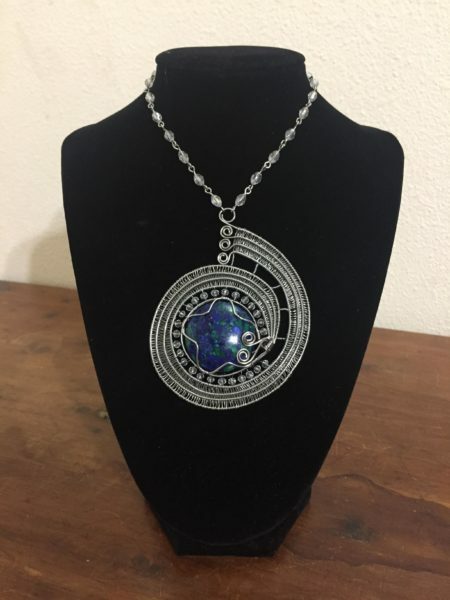 The glass beads are reminiscent of Earth’s atmosphere. 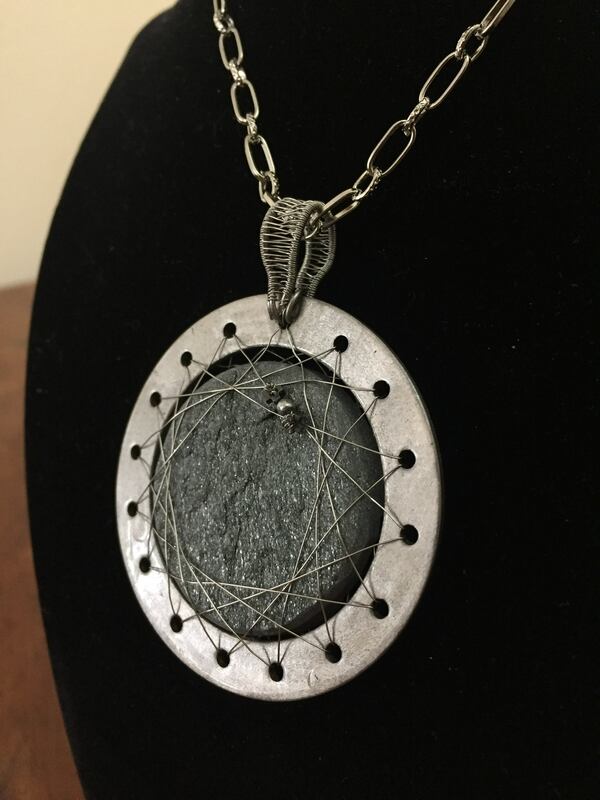 I chose to use stainless steel for the flight path that will connect Earth and Psyche because we believe that Earth’s core and Psyche are both made primarily of iron and nickel, like stainless steel. 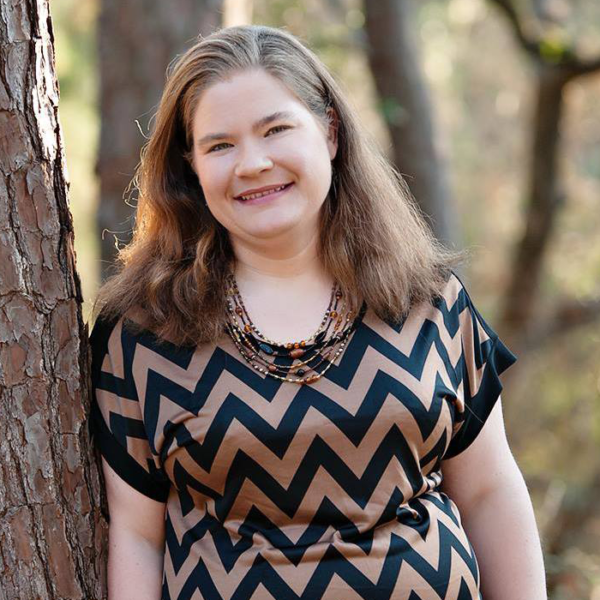 About the work: I chose to start with the sun because it is at the center of what we are doing on the Psyche mission. We orbit the sun; Psyche orbits the sun; and the sun will power the spacecraft. Without it, we wouldn’t be doing any of this. 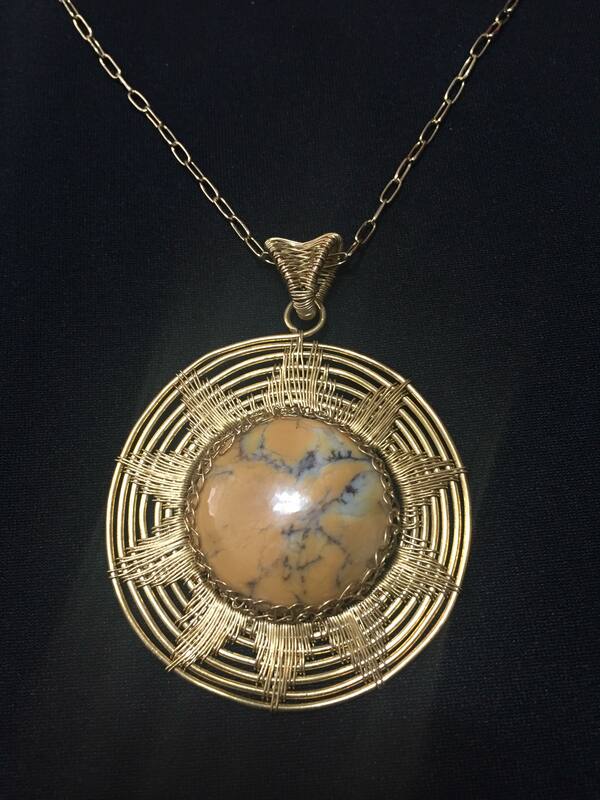 I created this pendant out of orange dendritic opal and brass wire.